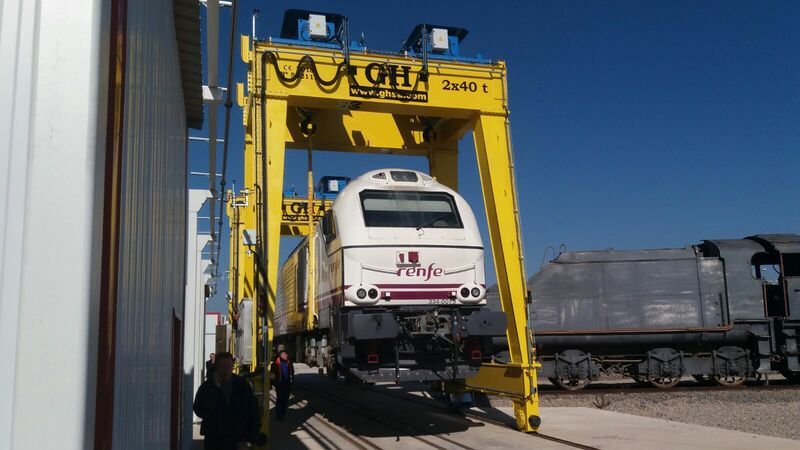 Locomotive loading and lifting tests with two new gantry cranes for Stadler Valencia. 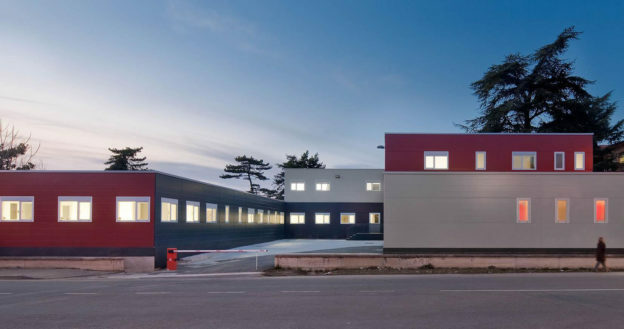 This company, located in the Valencian town of Albuixech, has an important presence in the Spanish market, as well as numerous international contracts. A specialist in the design and manufacture of locomotives, as well as urban and regional trains, Stadler Valencia employs 900 professional staff, of whom almost 200 are dedicated to the innovation and design of railway vehicles. Since Miguel Devís Pérez and José Noguera Chuliá created Talleres Devís y Noguera in December 1897, what is now the Stadler plant has evolved to become one of the leaders in the design and manufacture of rolling stock in Spain. The company remained at the forefront when it began to build trams and electric and steam locomotives more than a century ago, incorporating diesel models from 1959 onwards. 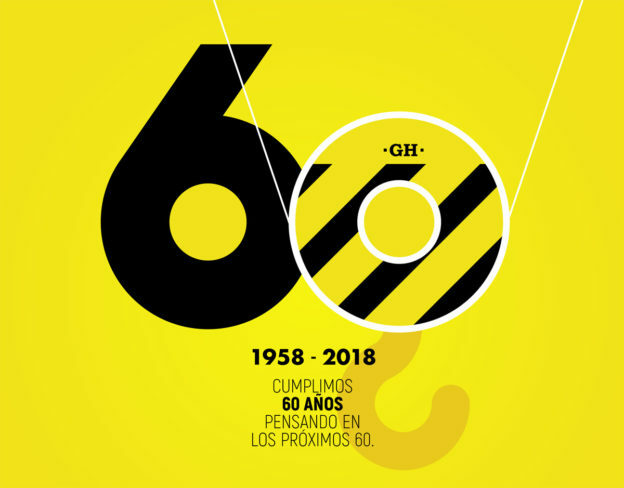 During the 1960s and 1970s, the company sold 300 locomotives to Renfe and another 300 were sold on the international market, which meant the growth and consolidation of the company as one of the major European railway manufacturers. During the years in which it has been operating, the company has sold more than 2,000 vehicles in 18 countries. Stadler has been present in Spain –in Valencia– since 1 January 2016. That day, Stadler bought the Vossloh Spanish locomotive business and thus added to its ranks a company that perfectly completed the Stadler Rail product portfolio, also offering access to new markets. The facilities in Valencia, with an area of ​​200,000 m2, include offices, production plants, storage areas and vehicle inspection and testing areas. The company has recently been awarded various locomotive contracts both in Europe and in South America, as well as light rail/tram contracts for different European regions – including the modernisation of Alicante’s Line 9, which connects Benidorm and Denia. 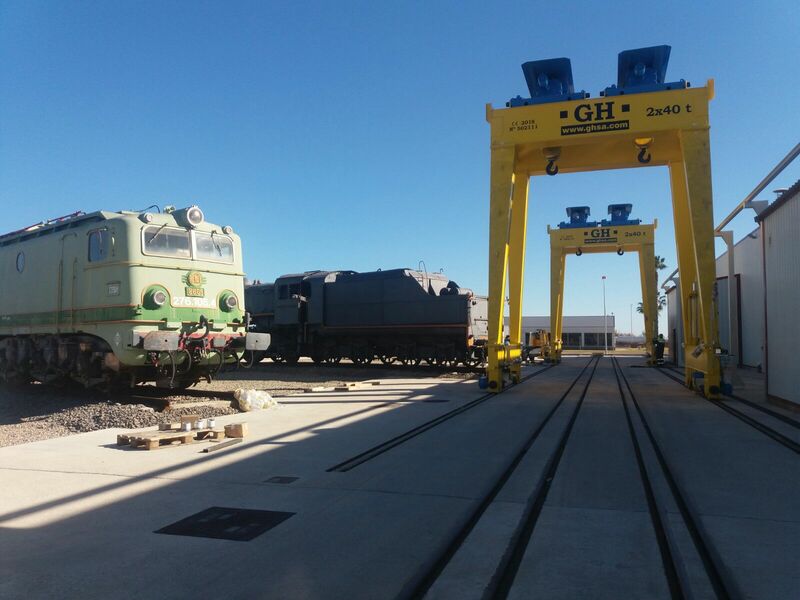 To meet the demand for production, Stadler Valencia asked GH Cranes for two new gantry cranes, which have been installed outside the Albuixech warehouse. Locomotive loading and hoisting tests have recently been carried out on these gantry cranes with a span of 5.1 m, equipped with hoists with a capacity of 2×40 t, which can work in either an independent or synchronised way. Here at GH Cranes, we are comprehensive manufacturers of all our products; however, our work does not stop with the mere manufacture of cranes and hoists. Our work begins with the initial proposal and ends with the maintenance and spare parts service; and it includes engineering, manufacturing, transport, assembly and commissioning of the manufactured products. Esta entrada se publicó en Referencias y está etiquetada con locomotives, Railways, Stadler, Trains, valencia en 2018/11/12 por ghcranes.